As a firm, we believe that injury victims deserve one-on-one attention for their personal injury concerns. Accident victims should receive compensation to pay for any medical bills, lost wages, or emotional damages they suffer because of someone else's negligent or reckless behavior. This is basic goodwill that most people would believe to be true. Unfortunately, insurance companies have found many ways to minimize the amount of compensation that they pay after accidents occur. In some situations, sometimes known as bad faith insurance, they have been known to try to deny claims altogether when some sort of payment is legitimately owed. The Law Offices of Jason S. Goodman, P.A. is dedicated to protecting the rights of injured accident victims and to recovering the compensation they deserve, no matter how complicated their case or difficult the times might seem. Are you trying to file an insurance claim or recover compensation from a third party? If so, then you need the services of an experienced Coral Springs personal injury lawyer from our law firm. Whether you were in a car accident, truck accident, motorcycle accident, slip and fall accident, or any other accident that led to injuries, Mr. Goodman can fight for you. With more than 20 years of legal and trial experience, you can rest assured in knowing that he has the know-how and the knowledge to get your case under way professionally and effectively. 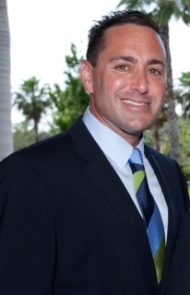 Attorney Jason Goodman can help you every step of the way. When you retain our services at the Law Offices of Jason S. Goodman, P.A., we can provide you with personalized attention and one-on-one service throughout the legal process. We do not want to make you feel like you are left alone or out of the loop, so we do all we can to make sure you are comfortable with each decision. You can start with a no-obligation, no-cost case evaluation. We would be happy to inform you about your legal rights and tell you more about our personal injury firm in Coral Springs. Ultimately, your case should be about you. That is why we are dedicated to obtaining the maximum amount of compensation possible for our clients. Take a look at some of our recent victories. We are proud to say that throughout our years, we have been able to recover hundreds of thousands of dollars for our clients. In one pedestrian accident case – which can be viewed on our case results page – we were able to secure a verdict valued over a million dollars. The numbers are not just there for show, however; we want to stress that we are in business for our clients. By pressing ourselves to greatness and always keeping what is important in focus, we can help people in need recuperate in comfort. At our firm, we assist clients with a wide range of case, both simple and complex. We want our clients to understand that we are here for them, from beginning to end. There are no cases too great that scare us away, and no problems too small that escape our attention. We strive to be the ultimate legal solution for the people of Coral Springs, and we believe that by focusing on personal injury claims, we can become just that. One of the biggest concerns with victims of accidents is what they should do immediately after it occurs. To better serve the people of our community and our prospective clients, we have compiled a comprehensive list of things you should do after being in an accident. If you have suffered as a result of someone else's irresponsible behavior, then please don't wait to get in touch with a member of our legal team! 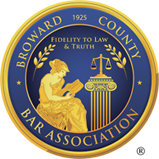 Our Coral Springs personal injury attorney is a part of many respected legal associations, including the American Association for Justice, the Broward County Bar Association, and the Florida State Bar. 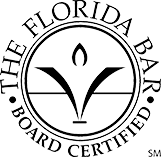 This means you can expect great client service and professional representation, no matter where in Florida your accident occurred. We can aggressively pursue your personal injury case with the insurance company, protecting your future and ensuring that you obtain the best possible settlement or verdict. Every case is pursued with the same zeal we would have given to any of our own cases. To learn more about our personal injury services, just contact our firm! Get in touch with us today to start your road to recovery.